This paper begins with an inquiry into the role of the Judiciary and a legal system in society and contextualizes that role with the generation and application of judicial and legal knowledge towards the advancement of society. It then looks into the process of judicial decision making and the information and knowledge management roles that support it, making the link between legal research and case flow management. It then proceeds to examine the role of the National Council for Law Reporting in the collection, preservation, management and dissemination of legal information as an aid for legal research and by extension, case flow management. In outlining the Council’s product and service portfolio it highlights key services that are tailored to assist Judicial Officers in conducting legal research. As an annexure to this paper, I have included an extract from the Editorial Policy of the National Council for Law Reporting including the criteria for the selection of judicial opinions for reporting in the Kenya Law Reports. Recently, the Hon. Justice (Prof.) JB Ojwang, a judge of the Supreme Court of Kenya, stated as follows: “The uncontestable object of reporting court decisions is to extract the essence of juristic thought and to lay it out as one of the beacons for the legal path for conflict resolution, in the advancement of civilized society”. The context of the Judge’s remark was certain recommendations that he was making to the National Council for Law Reporting. I found Justice Ojwang’s remark as a profound articulation of not only the role the Council but also that of the Judiciary and the legal system as a whole. That a judicial system exists for the purpose of resolving conflicts and that the ultimate goal is the advancement of civilized society. Society advances by generating new knowledge and applying that knowledge in finding solutions to humanity’s challenges. Growth in knowledge and improvements in the methods and tools for capturing and preserving knowledge were a defining factor in the emergence of the early human civilizations as they now are in the economic, social, cultural and political fulfillment of modern society. It took 6,000 years for humans to move from the agricultural age into the industrial age. By 1950, the majority of workers in the developed countries were industrial workers. But by 1960, in less than 150 years, the industrial age was over. Developed countries had entered the service age. More people were working at delivering services than were in manufacturing. (At this time of course, many African countries, Kenya included, were locked in a struggle for independence and self-determination). By the late 1980s, in just 20 years, the service age had left and the Information age was upon us. The advanced economies were progressing more from working in generating and processing of new information than in any other area. Mankind has moved from being a victim of the environment and from making and moving things to the creation and dissemination of ideas and knowledge. For the rest of your life, the knowledge content of yourwork, and your ability to communicate it, is largely going to determinethe value of what you do, the amount of money you earn, and the overallquality of your life. Brian Tracey (2002) – Create Your Own Future: How to Master the 12 Critical Factors of Unlimited Success. Today, billions of money is going into researching the possibility of human beings travelling beyond the solar system and inhabiting distant planets; developing a computer with a processing power many times greater than that of the human brain and the development of cash crops that can grow in desert conditions. These will hopefully result in knowledge applications that will solve the following challenges for humanity – the increased inhabitability of planet earth, the need to solve increased and more complex human transactions and world hunger. The question that a judicial officer might pose for themselves in this scheme of things is – how is the judiciary generating, preserving and applying new judicial thought and knowledge in order to improve both the quality and efficiency of its decision making and conflict resolution function. One might think that it is scarcely the role of any judiciary to generate new knowledge. But what is the Common Law other than a body of principles and rules (jurisprudence) that has emerged from the application of judicial thought? As the Hon. Justice (Dr.) W.M. Mutunga, the Chief Justice of the Republic of Kenya remarked, the judiciary has a role to play in the nurturing of “a robust, indigenous, patriotic and progressive jurisprudence”. The development of jurisprudence is therefore the tool that the judiciary uses to generate and apply new knowledge in advancing the frontiers of justice. Research has been defined as a detailed study of a subject, especially in order to discover (new) information or reach a (new) understanding. Legal Research is therefore an inquiry into the body of existing legal knowledge as a basis for reaching an understanding and/or finding a solution to a legal, social, economic, cultural or political question with the ultimate purpose of progressing or advancing a civilized society. When a judicial officer determines a dispute, she or he is solving a social problem through judicial decision-making. Now, solving a social problem through judicial decision-making requires not just the cloak of authority and legitimacy that comes with the office of a judicial officer. The questions that face a judicial officer in a dispute can scarcely be decided by the throw of the dice. Rather, the determination of the questions require situational awareness. Access to and knowledge of the laws and principles of law that apply to the issue (legal information) – because the question is to be determined in accordance with the rule of law. Wisdom – A good understanding of the context and the social, political, legal, economic and political dynamics in which the question has arisen. These two elements of situational awareness: access to legal information or knowledge and wisdom are functions of how information is collected, organized and applied and the speed with which it can be retrieved, co-related and applied to provide insight/understanding and/or solve a legal, social, political and economic problem. The retrieval, co-relation and application of information to provide insight and to solve a problem is what has been referred to as research. 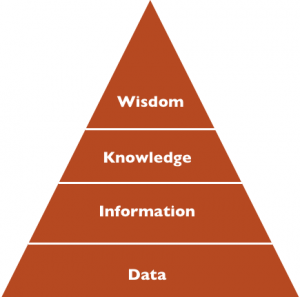 As the pyramid below shows, research and the path to wisdom and knowledge begins with the smallest quantum unit of wisdom – data. Caseflow management is the process by which courts move cases from filing to closure. This includes all pre-trial phases, trials, and increasingly, events that follow disposition to ensure the integrity of court orders and timely completion of post-disposition case activity. The figure below is a schematic illustration of the processes through which a case will typically go through from the time that it is filed to the time that it is disposed through a determination by a judicial officer. Information – The Customary laws and practices of the Agikuyu; The law governing the disposal of a dead body. Knowledge – The practice of cremation and its place in customary law; existing jurisprudence and legal theory on the subject. Wisdom – The social and cultural dynamics of Kenyan society; whether customary law is static or progressive; what would represent justice in the case. At what stage in this hierarchy will the judicial officer find it necessary to do research? Less research might be needed in the first stage – data. But research will be needed to convert that data into information, then into knowledge and finally into wisdom. The speed and the efficiency with which a judicial officer is able to conduct legal research, i.e. to gather, organize, process and co-relate data, information and knowledge, is a factor of the speed with which a case is determined. The organization of information and the ease with which it can be accessed and applied in legal research is the silent factor in case flow management. It is a key factor. At the National Council for Law Reporting, we understand that judicial officers need quick access to the data and information necessary to generate new judicial knowledge and to advance the development of jurisprudence. The Council has therefore uniquely tailored its information products and services to meet that need. To perform such other functions as may be conferred by statute. Its mission is “To provide access to public legal information in order to aid the administration of and access to justice, the knowledge and practice of law and the development of jurisprudence”. The Council’s slogan is “Transforming legal information into public knowledge”. The Council’s Secretariat is led by an Editor who is also the Chief Executive Officer. As the Editor, he exercises the editorial leadership over the publications of the Council and as the Chief Executive Officer, he provides managerial leadership to the staff of the Secretariat. As at April 2012, the Council had a staff establishment of sixty two (62) working in eight (8) departments. h. What is Law Reporting? Where the parties disagree on the law, a common law court looks to past precedential decisions of relevant courts. If a similar dispute has been resolved in the past, the court is bound to follow the reasoning used in the prior decision. Conceptually, civil law proceeds from abstractions, formulates general principles, and distinguishes substantive rules from procedural rules. It holds case law to be secondary and subordinate to statutory law and uses an inquisitorial court system unbound by precedent as opposed to the adversarial court system of the common law. A Civil law jurisdiction would have specially trained judicial officers with a limited authority to interpret law. The Common Law doctrine of precedent – which is captured in the Latin maxim: stare decisis et non quieta movere, meaning: ‘it is best to adhere to decisions and not to disturb questions put at rest’ – means that cases involving similar circumstances should be decided by the application of similar principles of law. A precedent is a judgment or decision of a court, normally recorded in a law report, used as an authority for reaching the same decision in a subsequent case. Loosely translated, the doctrine of precedent means that cases involving similar circumstances should be decided by the application of similar principles of law. The application of this doctrine means, generally, that every court is bound to follow the decisions made by the court above it and, on the whole, appellate courts also have to follow their own decisions. It also means that the decisions of superior courts are to be preserved because they serve as a reference point for future decisions. Therein lies the rationale for and role of law reporting. Law Reports serve to monitor and report on developments in the common law through judicial opinions delivered by the superior courts or courts of record. In their best renditions, law reports serve to delineate and refine a path of judicial decision making on esoteric points of law and fact, and to preserve as reference beacons the judicial decisions that best illuminate this path. The doctrine of precedent and law reporting are therefore fundamental components of the English Common Law system, from which Kenya’s legal system is descended. The Supreme Court is the highest court in Kenya and its decisions are binding on the Court of Appeal, the High Court, the Magistrate’s Courts as well as specialized courts and tribunals. The Supreme Court would normally also follow its own decisions unless it can overrule them so that they are set aside and cease to have the force of precedent. The decisions of the Court of Appeal are binding on the High Court and the Magistrates’ Courts while those of the High Court are binding on the Magistrate’s Courts. The decisions of the Magistrates’ Courts do not in themselves create any binding precedent for any court. A lower court can decline to follow or be bound by the decision of a court above it where the lower court finds that the circumstances of the case before it are peculiar and different to those in the previous case. This is called distinguishing a case. The processes of distinguishing and overruling previous cases act as checks against a rigid application of the doctrine of precedent prevents bad decisions from acquiring the force of law. 1897-1905: Kenya’s first output of law reports was in the form of volumes under the citation E.A.L.R (East African Law Reports). Seven of these volumes were compiled by the Hon Mr. Justice R. W. Hamilton, who was then the Chief Justice of what was then known as the East Africa Protectorate and the reports covered all courts of different jurisdictions. 1922-1956: Some twenty-one volumes of the Kenya Law Reports (under the citation K.L.R) were published which included the decisions of the High Court only and were collated, compiled and edited by different puisne judges and magistrates. 1934 – 1956: This period saw the birth of the famous Court of Appeal for Eastern Africa Law Reports (E.A.L.R), which comprised twenty-three volumes also compiled by puisne judges and magistrates, a Registrar of the High Court and the Registrar of the Court of Appeal for Eastern Africa. These volumes reported the decisions of the then Court of Appeal for Eastern Africa and of the United Kingdom’s Privy Council. They covered only the appeals filed from the territories. 1957-1975: The East Africa Law Reports (cited as E.A.) were published in nineteen consecutive volumes and covered the decisions of the Court of Appeal for East Africa and the superior courts of the constituent territories, namely Kenya, Uganda, Tanzania, Aden, Seychelles and Somali land. They were published under an editorial board consisting of the Chief Justices of the Territories and the presiding judge of the Court of Appeal for Eastern Africa. Following the collapse of the East African Community, under whose auspices the reports were published, the reports went out of publication. The period before the resumption of the East Africa Law Reports saw sporadic and transitory attempts at law reporting. Firstly, with the authority of the then Attorney-General, six volumes named the New Kenya Law Reports covering the period between and including the years 1976 to 1980 were published by the East African Publishing House Ltd. These reports included the decisions of the High Court and Court of Appeal of Kenya and were compiled by the Late Hon Mr. Justice S. K. Sachdeva and were edited by Mr. Paul H Niekirk and the Hon Mr. Justice Richard Kuloba, a judge of the High Court of Kenya. The publication of these reports ceased when the publishing house folded them up ostensibly on account of lack of funds. 1982-1992: Two volumes of what were known as the Kenya Appeal Reports were published by Butterworths, a private entity, under the editorship of The Hon Chief Justice A.R.W. Hancox (hence the pseudonym Hancox Reports) who had the assistance of an editorial board of seven persons. These reports, as their name suggested, included only the decisions of the Court of Appeal of Kenya selected over that period. In 1995, the National Council for Law Reporting Act was passed, which for the first time established a permanent state-funded secretariat having the exclusive mandate of official law reporting. However, the Secretariat was only operationalized in 2002 under the leadership of the then Chief Justice The Hon. Bernard Chunga and the editorial direction of The Hon. 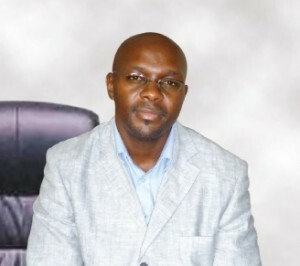 Mr. Justice Richard Kuloba, then a Judge of the High Court. The publication of the 1981 Kenya Law Reports volume marked the revival of the KLR series of law reports, which by statute became the designated official law reports of the Republic of Kenya. By the time the Council’s secretariat was operationalized, official law reporting had fallen into arrears by two decades. The Council therefore embarked on a massive exercise of bringing law reporting up-to-date with the Judiciary calendar by simultaneously publishing backlog and current editions of the Kenya Law Reports. The Kenya Law Reports, which are published by the National Council for Law Reporting, are by law the official law reports of Kenya. They are published in yearly volumes. By April 2012, the Council had published twenty nine (29) print volumes of the Kenya Law Reports covering the years 1976-2009; established a large electronic database of law reports; published the Laws of Kenya online and in print and also published several other related publications. These law reports capture and preserve Kenya’s legal heritage and are the means through which the Council monitors and reports on the development of Kenya’s jurisprudence. Law reporting is therefore an important tool in the administration of justice in Kenya. It ensures certainty in the law. People are able to order their affairs and come to settlements with a certain amount of confidence when the outcome of litigation can be predicted by referring to previous decisions of the courts. It ensures the impartiality and transparency of judges. Generally, a judge is bound to follow the law enunciated in a previous case unless he or she can overrule or distinguish it. Moreover, providing public access to the records of judicial opinions heightens the judge’s responsibility in delivering fair, well-reasoned and timely opinions. It offers opportunities for the development of the law and the evolution of jurisprudence which cannot be provided by Parliament. The courts can more quickly lay down new principles, or extend old principles, to meet novel circumstances. Law reports serve as important of the legal, political and socio-economic heritage of a country. They serve as a historical reference point in tracing and understanding the socio-political evolution of a society. They are therefore useful raw material for analysis and review in investigating the informing the normative standards that best guide the progression of a civilized society. The law reports serve as a platform on which the contribution of Kenya’s Judiciary to the promotion of the rule of law through the reasoned application of laws and legal principles in the determination of legal questions is rationalized. They are the package through which Kenya’s jurisprudence is exported to make its contribution to the development and evolution of the common law and international law jurisprudence in general. In the selection of judicial opinions for reporting in the Kenya Law Reports, the overriding consideration is to report judicial opinions which make a material contribution to jurisprudence. Emphasis is paid not so much to the hierarchical standing of the court rendering the judicial opinion but rather to the special character of a case, originality in exposition of law and principle, thoroughness and juristic quality and the contribution of the judicial opinion to the growth of a robust, indigenous, patriotic and progressive jurisprudence. Decisions determining the propriety, effectiveness, redundancy, applicability and/or utility of a law or an administrative practice. Decisions in which a court applies a principle which although well established, has not been applied for many years and may be regarded as obsolete;. Judicial opinions which point to the development of new interpretation of international legal principles or confirm well established rules of international law. Decisions involving a matter of general public importance or those that are otherwise particularly instructive. Reducing the costs of its operations. Case Search: This is the most comprehensive and authoritative collection of Kenyan case law, featuring judicial opinions from Kenya’s superior courts of record: the Supreme Court, the Court of Appeal and the High Court. Laws of Kenya and Law Reports Online: Since its launch in October 2004, the Council’s website (www.kenyalaw.org) has evolved both in its range of products and in their scope. Through the website, Kenya became the first and hitherto the only country in Africa, to have its complete national legislation available online for free. a.KLR Case Updates – This is a new service that provides summaries to precedent-setting judicial opinions from the superior courts of record. It is provided exclusively as an email service and has replaced the KLR Monthly, a similar service that was provided through monthly publications. The case updates are sent as a newsletter with the summaries of the opinions prepared by the Council’s Law Reporters. Case Track & Digital Recording & Transcription of Court Proceedings: Case Track is a measure aimed at improving efficiency in the Judiciary and reducing the backlog of cases through the design and implementation of a computerized case management system. The development of the system involves computerized data capture of pending cases and storing it in a central, secure and robust database system which is capable of processing the data and giving reports relevant to various classes of users, i.e. Judicial Officers, Judiciary administrators, para-legal staff, advocates and litigants. As a parallel and complementary project, the Council pioneered a project for the digital recording and transcription of court proceedings. The objective of the project was to apply state-of-the-art recording and transcription technology in order to aid the management of court records. The project involved the installation of voice recording equipment in the courts with simultaneous transcription using word processors. The recording equipment was wired to backroom where digital equipment for the voice storage and retrieval was installed. The Kenya Treaties Database – An on-line database containing the text of international treaties and agreements to which Kenya is a party or which otherwise affect or are relevant to Kenya. The Hansard Archive – An online archive of the Kenya’s legislatures dating back to the 1940s and coming forward to 2011. Bill tracker: The full text of Bills tabled in the Kenya National Assembly with a schedule showing the sponsorship and debate status of the Bills. The Daily Cause List – A schedule of cases due to be heard in various Courts throughout Kenya, updated everyday. The Kenya Gazette Archive – An archive of the official Kenya Gazette, dating back from 1906 and coming forward to 2011. The Kenya Law Review Journal online – The online version of Kenya’s official law journal, containing articles and research papers on contemporary legal issues submitted by judicial officers, lawyers, academicians and students. KLR Newsletter – A weekly serving of a precedent-setting judicial opinion along with notices of Acts, Bills and legal notices published or delivered in the previous week. Practice Notes and Directions issued by The Hon. the Chief Justice to guide particular matters of practice and procedure in the Courts of Kenya. The Bench Bulletin – A quarterly magazine containing news and information from the Council and giving analyses of recent precedent-setting judicial opinions as well as recent Acts, Bills, Legal Notices and Kenya Gazette Notices. a.The Kenya Law Reports – The Council supplies judicial officers with print copies of the Kenya Law Reports volumes. The supply of the law reports is arranged for and paid by the office of the Chief Registrar of the Judiciary through the Judiciary Librarian. b.The Bench Bulletin – Every quarter, the Council delivers a copy of its quarterly magazine – The Bench Bulletin – to every judicial officer. This service is provided free of charge. c.KLR Case Updates – This is a new service that has been described in the previous part. It provides summaries to precedent-setting judicial opinions from the superior courts of record. In order to receive the service, a Judicial Officer will need to provide an email address or subscribe freely for it on the Council’s website. d. KLR Weekly Newsletter – The nature of this service and its content has been described in the previous part. It is provided freely by email. e.KLR Case Back Service - CaseBack is a service that is exclusive to Judicial Officers. Through this service, the Council alerts a judicial officer when his or her decision has been considered by a court of higher jurisdiction. A judicial officer whose decision has been considered receives an email alert along with the decision of the higher court immediately that decision is received by the Council. The CaseBack service aims to contribute to the development of jurisprudence by providing an information loop in which judicial officers continually develop and improve upon their understanding and application of the principles of law. f.Kenya Law Review Journal – The Council invites and publishes articles and commentaries from Judicial Officers on in the Kenya Law Review Journal. The articles are published both on the Journals webpage on the Council’s website and in the print edition of the Journal. g.Training of Judges Legal Researchers – The Council has a wealth of knowledge and experience in legal research. It partnered with Katiba Institute and the Judiciary Training Institute in packaging and delivering the inaugural training course for judges’ Legal Researchers. The Council also continues to provide on-the-job training and plans to undertake periodic seminar-style training of the Legal Researchers. h.Publishing specialized information materials – The Council provides the Judiciary with specialized publication services and consultancy services in the design of information, education and outreach materials such as brochures, booklets, banners, etc. Most recently, the Council has partnered with the Judiciary in the design and publication of a special booklet containing the decision of the High Court (Constitutional and Judicial Review Division) on the date of the next general election and The Judiciary Transformation Framework. j. Online publication and archiving of the Daily Cause List – The Daily Cause List, which is a schedule of cases due to be heard in various courts throughout the service, remains one of the most widely used services on the Council’s website. It is a key reference resource for litigants and advocates. k. Kenya Law Forums – The Council plans to start a new service to be known as Kenya Law Forum. The service is in the form of periodic forums to discuss the latest trends in Kenyan jurisprudence, with particular focus on judicial opinions from the superior courts of Kenya that have made a contribution to the development of jurisprudence or those which otherwise raise a matter of great legal and public interest. The Forum will involve legal commentators, the academia, legal practitioners, legal researchers, judicial officers as well as members of the public. The Council is a repository of all the judicial opinions delivered by the Courts of Record. The Council relies on the timely collection of judicial opinions for the timely preparation and dissemination of the KLR Case Law updates. Every Wednesday of every week, the Council holds case selection meetings in which its law reporters consider the judicial opinions delivered and collected within the previous seven days. Ahead of the meeting, each law reporter will have received their allocation of judicial opinions and at the meeting, they would give their report of those opinions that they would recommend are reportable in the KLR Case Updates and eventually in the Kenya Law Reports for their contribution to jurisprudence. Because the KLR Case Law Updates is the service through which all judicial officers, legal practitioners, the legal academia and the public are informed about the latest developments in jurisprudence, it is imperative that the opinions are collected at the soonest time possible after they have been delivered. The Council has employed Collection Agents who are based at various court stations. The Collection Agents are responsible for the collection of judicial opinions and forwarding them to the Council. Due to the number of High Court stations against the Council’s team of 9 (nine) Collection Agents, several collection agents have been allocated more than one station. Eventually, the Council hopes to rely exclusively on the Judge’s Researchers, working in consultation with the Judge’s Secretaries and the Judges for the electronic submission of Judicial Opinions. – Attending case selection meetings, workshops, seminars etc on legal research and law report organized by the Council. We encourage and provide facilitation for Judicial Officers to engage with us by contacting us directly, by contributing to our journal and blog, by attending our Kenya Law Forums and by inviting us to their events. Legal research is an important component of case flow management. The monitoring and reporting on developments in jurisprudence through law reporting is an indispensable undertaking for the proper functioning of a legal system. Law reporting as an aspect of legal research plays an important role in identifying the beacons of regularity that illuminate the path of judicial decision making in the determination of contentious questions. These questions and the authoritative character given to the manner in which they are disposed by the application of judicial thought, inform the legal, social and political evolution of society. Regularity decrees that the interactions of individuals in society and also the interaction of individuals with the state and its organs, is governed by the rule of law. The application of the rule of law is refined and nuanced to the circumstances the legal contestation at hand through judge-made law. Providing access to not only judge-made law but to all the primary sources of law – treaties and international instruments, statutes, subsidiary legislation, the Kenya Gazette, Legal Notices, Bills, etc, provides the raw material for comprehensive legal research that is necessary for the speedy and effective resolution of disputes. The Supreme Court of Kenya was established recently under the Constitution of Kenya, 2010. The National Council for Law Reporting (Amendment) Bill proposes include a Judge of the Supreme Court in the membership of the Council’s Board. At the time the Act was passed, the University of Nairobi was the only institution of higher learning offering an undergraduate and post-graduate degree in law.